49r football legend Joe Montana and Giant’s star baseball player Hunter Pence live there—in the Millennium, considered one of the top 10 luxury (hotel style amenities) residential buildings in the world as rated by Worth magazine. It will cost you from $1.6 million to over $10 million to buy a condo there. And now according to 2 newspaper articles just out on August 1st the much vaunted 58-story Millennium has sunk 16 inches into the ground at an angle, giving it a 2-inch tilt to the northwest. 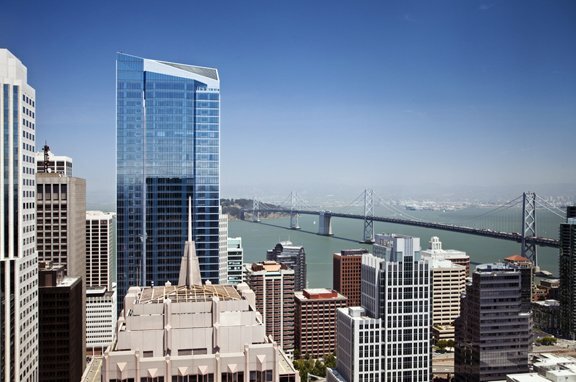 That’s an extraordinary amount of sinking and tilting and the situation has prompted the San Francisco Association of Realtors to issue an official advisory to its realtors concerning selling units to new buyers for the Millennium Tower. As a comparison to what is considered acceptable sinking and tilting (differential settlement) the 88-story Petronas Twin Towers in Kuala Lumpur, Malaysia, has settled 3 inches with a tilt of less than half an inch—and it opened in 1998, 10 years before the Millennial’s opening in 2008. By 2010 the Millennial tower had settled 10 inches, 4 more than anticipated by its builders for the entire life of the tower. Stanford Professor Greg Deierlein says that the sinking is not a safety issue, and homeowners in the building do not feel the sink or the tilt. Eventually experts say the sinking could lead to cracking in walls, elevator malfunctions and other settlement issues. Currently some parking ramps in the building’s underground area have been realigned to the building’s current position.